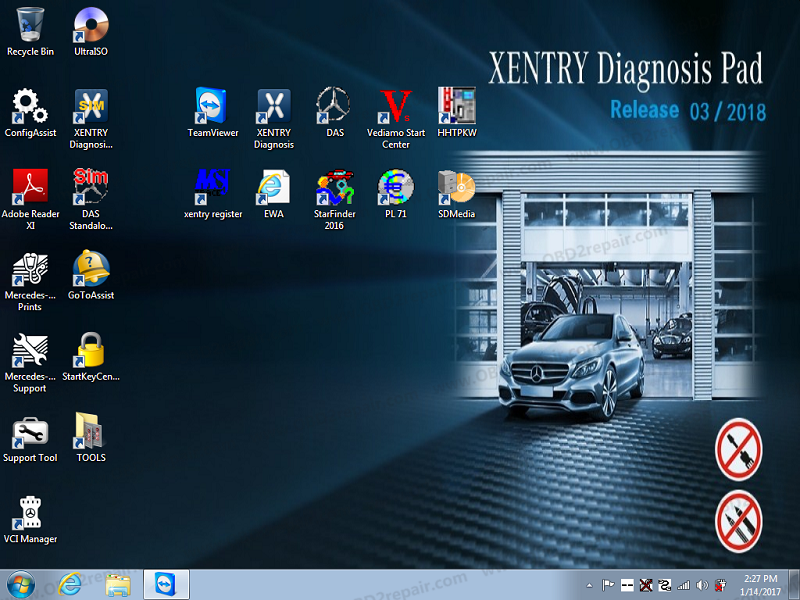 V2018.3 Xentry/DAS is the latest star diagnostic software for MB Star C4/C5. 03/2018 entry Openshell XDOS comes with Vdiamo 5.01.00 support offline programming.V2018.3 Mercedes diagnostic software support online programming with dealer account.OBD2repair.com newly released V2018.3 Xentry Star Diagnostic Software Xentry Openshell XDOS. 1. D-A-S / Xentry / HHT 2018.3 the automatically Diagnosis Assistance System ,Concise interface and straightforward operation with IB M high-quality computer can realize the quick and accurate code reading and the whole car system testing. 2. W-I-S net 2018.2: Workshop Information System Supply the whole view of the wiring diagram in a car,component location diagram and maintenance method. What you do is to enter the chassis number, and then you will get the manufacture data, engine configuration and the car model -all in detail.